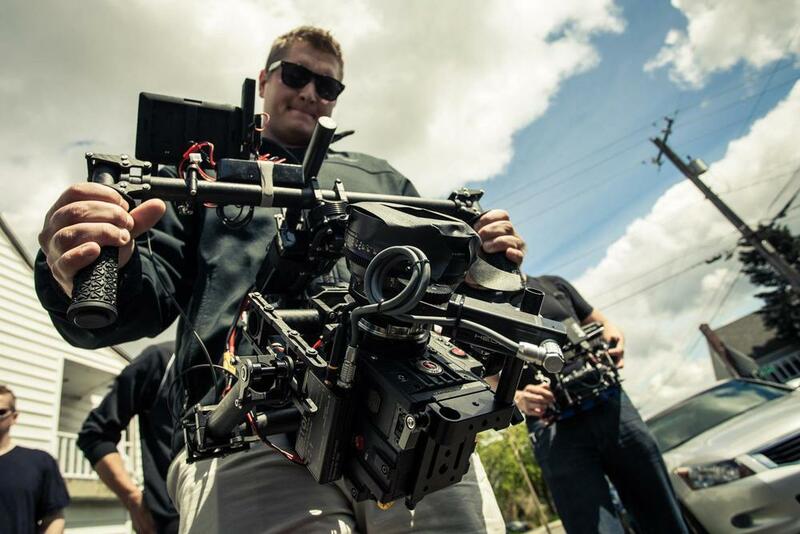 When Freefly Systems announced the Mōvi M10 in 2013, many dubbed the device as the “Steadicam killer”, a huge statement. A year on and this topic is still debated in online forums and even on the shop floor in rental companies, with filmmakers arguing their pro’s of preferred devices and con’s of the other systems. However, it’s clearly evident that over the course of the last year the Mōvi M10 has changed people opinions as more and more filmmakers are opting to use the rig to capture dynamic footage, that was simply unachievable 12 months ago and with the recent release of the Mōvi M15 the gimbals reputation is just going to continue to grow. The thought that Mōvi, the “new kid on the block”, could make Steadicam operators surplus to requirements, is still a massive statement to make and this is definitely not going to take place any time soon (if ever). Steadicam operators bring years of expertise and can pull off moves that your average Joe with a Mōvi probably could not. It’s clear to see that Freefly’s Mōvi m10 has made a lasting impression on the production industry but how does it actually stand up next to the Steadicam and other traditional movement devices? Here are some examples of why it will be difficult not to have a Mōvi M10 orM15 on your productions in the future. The biggest factor in the favour of Mōvi is on-set time management. This device is definitely not the end of conventional camera movement devices such asa tripod, slider, dolly, jib or Steadicam but and its a big but, the Mōvi will make film makers think twice about using these pieces of equipment, when they realise the Mōvi allows operators to perform similar shots in only a fraction of the time. Possibly the most important factor of filmmaking is time management. Working with equipment such as dollies or cranes takes dozens of crew members hours to set up for a single shot. Crewmembers have to lay tracks down for dolly moves, the crane’s route has to be worked out and lighting often has to be amended to allow for the movement of the jib. With the Mōvi that time is reduced significantly, allowing for much longer shooting periods. 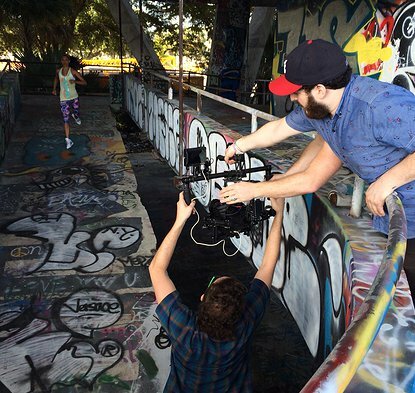 With a good operator the Mōvi takes can be balanced in minutes and shooting almost immediately. The Mōvi systems are not the cheapest of devices around so to purchase not a possibility for most productions but rental wise it is more affordable than your standard steady cam system and is significantly cheaper than a crane or dolly hire. With our rental prices starting at as little as $450 p/day including GST and insurance hiring a Mōvi handheld stabiliser can save your production thousands, the price of hiring this device quickly becomes a no-brainer. Steadicam operators have years of experience and it’s near impossible to replicate their way of using the device on your own without years of practice. The Mōvi is somewhat different; you can master the device in a day and be out shooting dynamic footage in no time! Our expert crew of operators and technicians are also available to hire. We also offer 1-2hr introductions on your first hire of our Mōvi handheld systems, so you will be up and running with the Mōvi in no time. 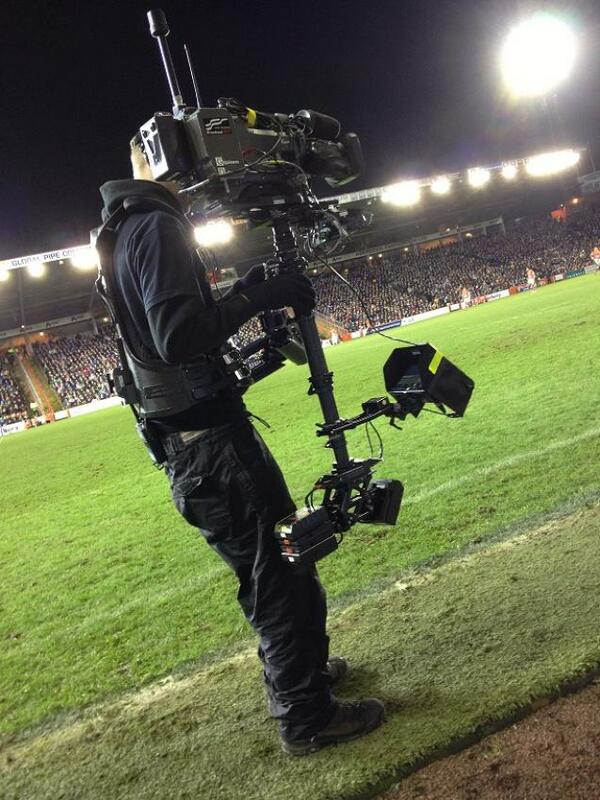 A Steadicam operator has a tremendous amount of equipment strapped to them at all times when operating. This includes a vest that is often strapped with batteries and a separate monitor so they can see the footage as they’re moving. The Mōvi on the other hand is much more flexible, it can be operated in a similar way – Majestic mode, or possibly the most exciting feature of the Movi is that you can also utilize an extra person to lighten the workload in difficult situations. 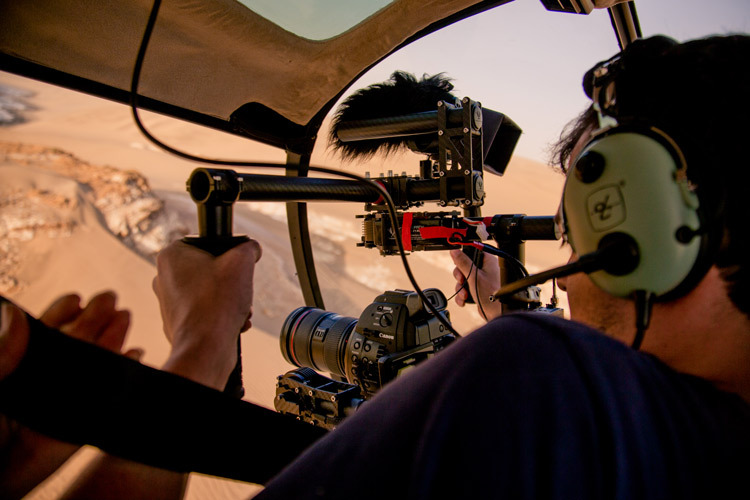 The Mōvi allows you to control the camera remotely with the second operator using a remote to move the camera within the rig to frame the shot as it happens using an external monitor. This allows the operators to hand off the rig through tight spaces such as a windows, while concentrating on not tripping over anything. This is a clear advance from the Steadicam, where one person is strapped into a rig and constantly having to watch not only where they’re moving, but also make sure everything remains in frame. The Mōvi is easily transportable, the rig itself weighs less than 2kgs due to its carbon fibre build. Unlike the Steadicam and cheaper alternatives the Glidecam, the Mōvi doesn’t require heavy vests and weights. Instead, it’s extremely lightweight and is built around gyro stabilisation and accelerometers resulting in Camera operators being open to wider range of motion, while being more nimble. The Mōvi M10 can fly such cameras as the Red Dragon, Red Epic, Red Scarlett, Canon c300, Black Magic & DSLR’s & can take up to 10kg’s in weight while the M15 can fly these cameras and also the Sony F5, F55 Fs7, Alexa M, Sony FS700. With the entirety of this weight placed on the operator at all times the Movi can be a difficult rig to handle over longer periods of time which can result in fatigue. We advise clients to keep this in mind and provide the operator with an assistant throughout the shoot to relieve them of the Movi’s weight in-between takes or alternatively we suggest renting a Easyrig with your Mōvi hire, our daily rental rates for an easy rig start at $155 p/day including GST and insurance so its a great option for the heaver camera setups. This entry was posted in Rental, Video and tagged freefly, freefly movi, freefly movi m10, freefly movi m15, freefly systems, gimbal, handheld gimbal, handheld stabliser. Bookmark the permalink.